Overall pairings are endless... I have 3 different pairs of them and think I am going to add these black ones to my closet too! I promise you, I get so much mileage out of all of mine. ^^I love heels with overalls! Such an unexpected juxtaposition but so obsessed!! I get asked often, how to wear overalls. The best answer is, there is no one way! The pairings and possibilities are endless, so be sure to have fun with it. I seriously dress them up with amazing and fun heels, down with sandals and flats, I wear them with my sneakers and even my hunter rain boots. How do you wear yours? I linked quite a few overalls below, enjoy!! 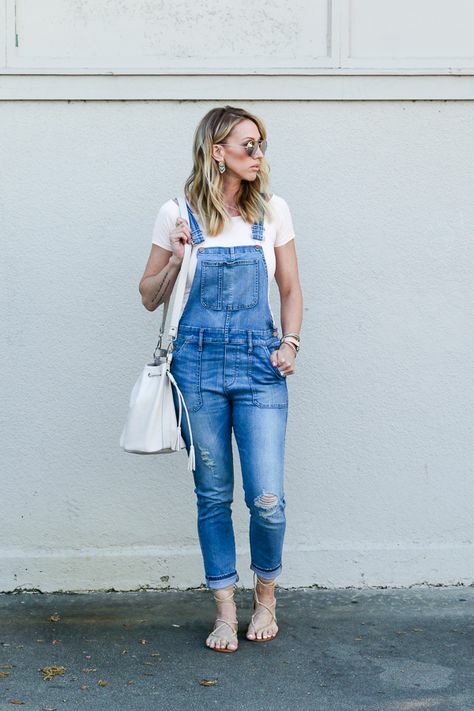 You totally rock the overalls!